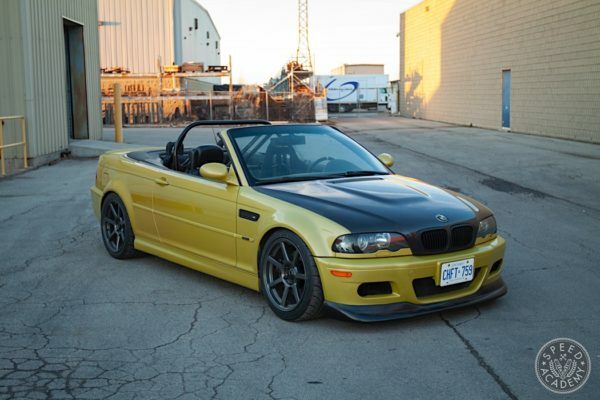 We have a lot of experience modifying cars, and in particular modifying them to go faster around racetracks. But what we don’t have is much experience with American muscle cars or live rear axles cars. 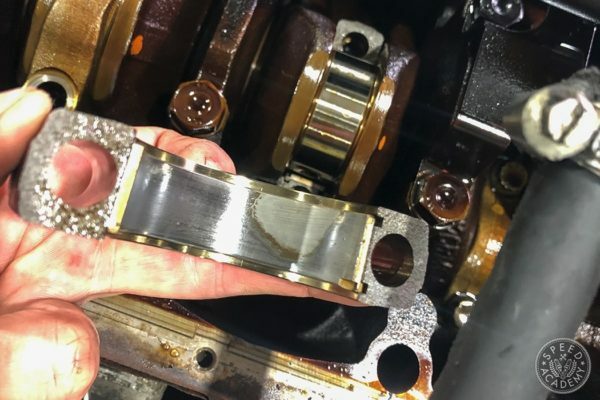 So we really weren’t too sure what to expect when we started applying what we’ve learned in a decade or so of track prepping Japanese cars to our 2005 Ford Mustang GT, supported by Turn14 Distribution (every upgrade on the car so far can be sourced at wholesale prices from Turn14 if you run a race shop or sell performance parts from a store front or a legit e-commerce site). Turns out our insecurities were totally unfounded, since our high mileage Mullet Mustang responded incredibly well to the first round of upgrades we fed it, which as you’ll recall from previous videos and stories include a K&N FIPK air intake system, Borla long tube headers and Touring exhaust system, Eibach Multi-Pro R1 coilovers and anti-sway kit (front and rear swaybars), Enkei 18×9.5” GTC01RR wheels and 275/35ZR18 Kumho Ecsta PS91 max performance summer tires. 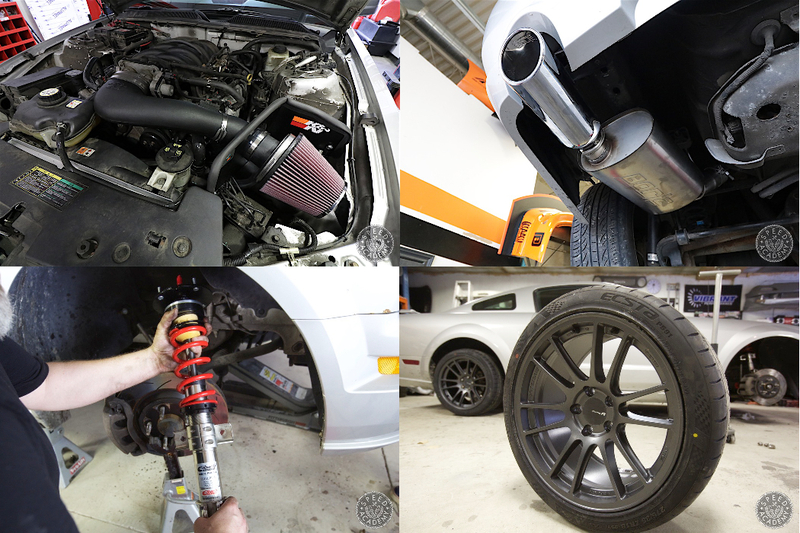 As you may have already seen in our most recent track test video, we shaved an astounding 7-seconds off the Mustang’s lap time around Toronto Motorsports Park with these bolt-on upgrades, from a 1:31.0 down to a 1:24.0. 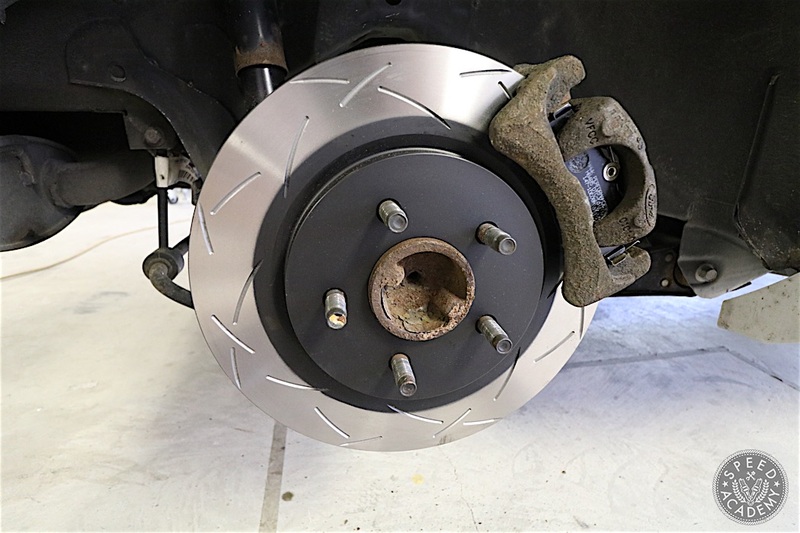 I should mention that we also upgraded the brakes to ClubSpec DBA 4000 series T3 rotors and Hawk Performance DTC-50 brake pads, which greatly improved stopping power and fade resistance, but we put those on the car before baseline testing it on that 1:31 lap since we felt the OE brakes were too far gone to safely use on track. 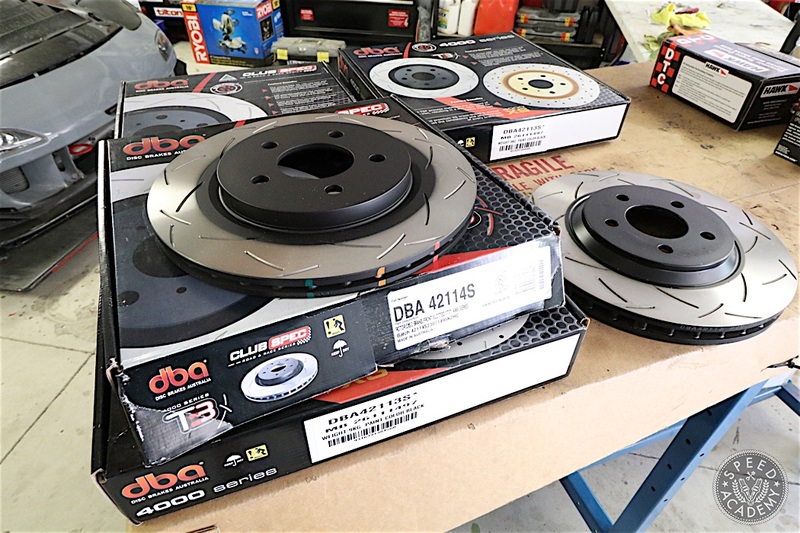 Having used DBA rotors on a few of our other projects including Project Grip S14 and so far we’ve been extremely impressed by their durability. 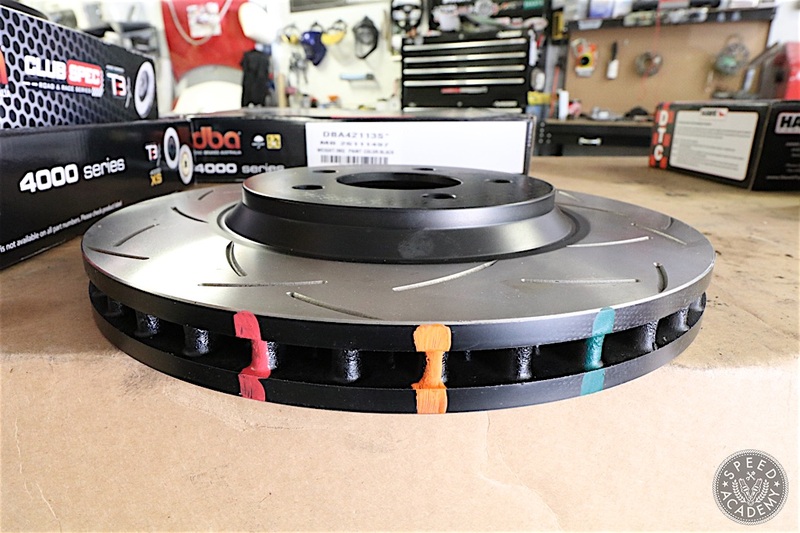 We’ve had zero issues with rotors warping and they stand up incredibly well to the very aggressive friction material used in race pads, all of which is a direct result of DBA using a very high-quality XG150 high-carbon alloyed iron that increases thermal capacity and minimizes warping or cracking. Plus they have these magical thermal paint marks on the side that are heat activated, meaning they change colour at specific temperature thresholds to let you know how hot your rotors are getting. We will be keeping a close eye on these thermographic paint marks since this is a 3,500-lb car and we expect we will start to max out the thermal capacity of the braking system as we further develop the car. 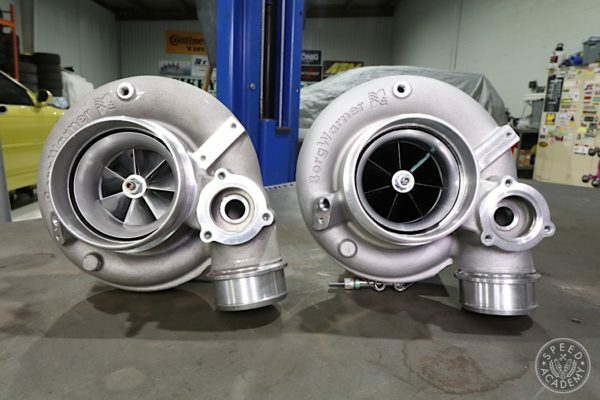 Still, the rotor and pads have stood up amazingly well to the heat so far. 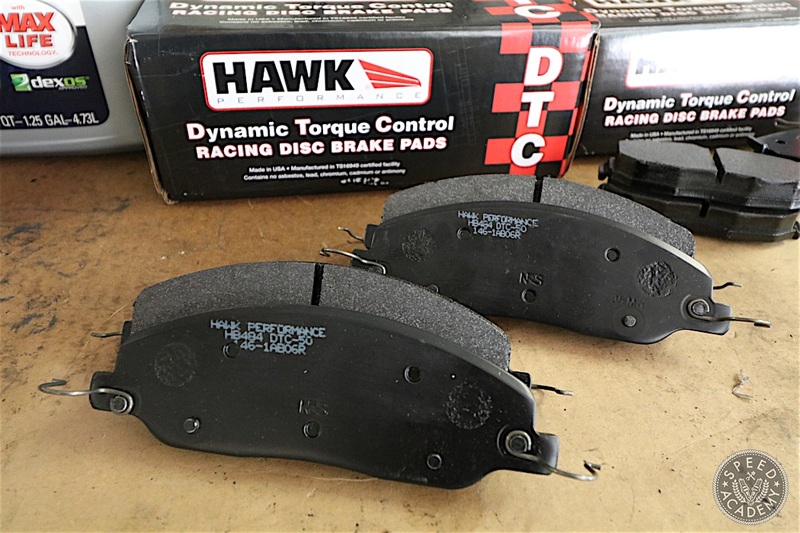 The Hawk DTC50’s ability to resist fade up to 1400° is impressive, as is this pad’s aggressive initial bite and outstanding modulation and release characteristics, and DBA’s unique Kangaroo Paw tear-drop pillar ventilation system, which not only pumps air extremely effectively through the rotors but also adds surface area for greater heat dissipation, has no doubt contributing significantly to keeping temperature and brake fade under control, too. 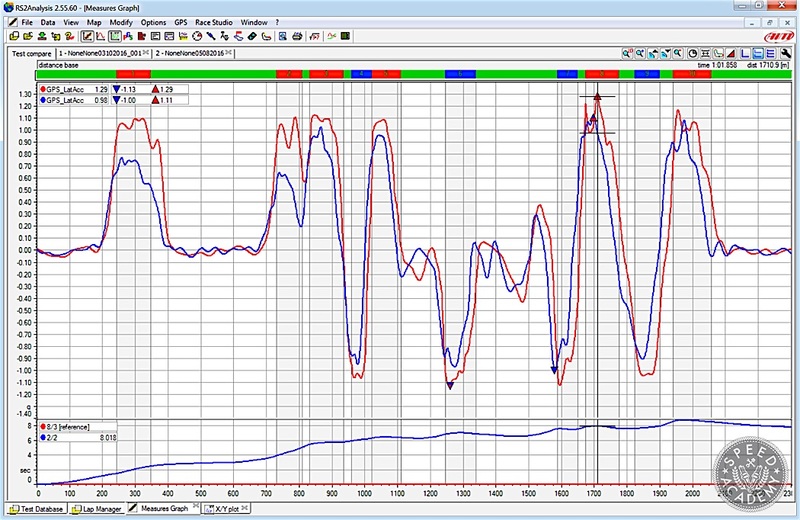 Brakes are a huge part of making any car track worthy, but since the above upgrades were done before baselining the car in otherwise stock form, they didn’t directly contribute to the 7-seconds we lopped off with the rest of the mods listed. 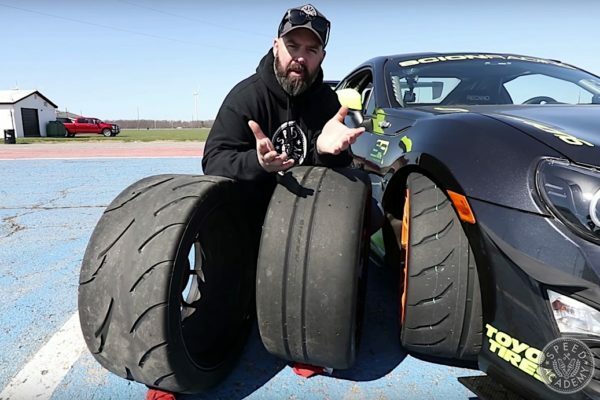 Based on a ton of previous track test experience, we know that a serious wheel and tire upgrade like this is generally good for 2 to 3 seconds a lap, a high-performance coilover upgrade is good for 1.5 to 2.5 seconds a lap, and adding 50-hp is good for about 1-second a lap at this race track. So we have a pretty good idea where the 7-second improvement came from, but let’s take a closer look at the data to break it down a bit further. 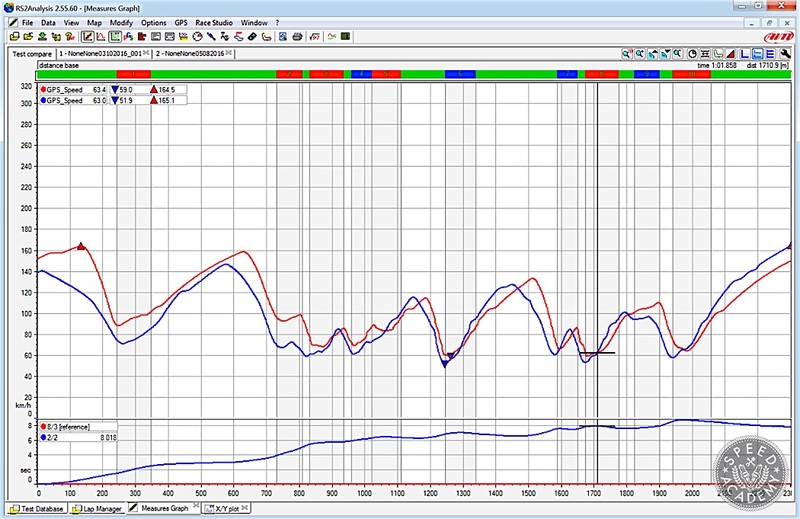 Looking at the speed graphs in KPH for the Mustang during its stock baseline test (blue) during the 1:31 lap and the Stage 1 modification test (red) during the 1:24 lap, it’s easy to see that the car is now carrying much greater cornering speeds. Just look at how much higher the red line stays through all the corners, which are those light grey vertical bands colour coded red or blue at the top of the column (red is for right-hand turns and blue is for left-hand turns). The cornering speed differential is especially large in corners 1, 2 and 9, which are the three fastest corners at Toronto Motorsports Park, which indicates just how much more mechanical grip is available on the Kumho PS91 tires and how much better the chassis is able to use the available grip thanks to the Eibach coilovers and swaybars. There’s also some pretty remarkable straight away/top speed differentials happening here, which are both a function of the Mustang carrying more speed through the corners and putting the power down much better coming out of the corners, plus the upgraded intake, longtube headers and exhaust most definitely provided added top end power that really shows up clearly on the longer straights. 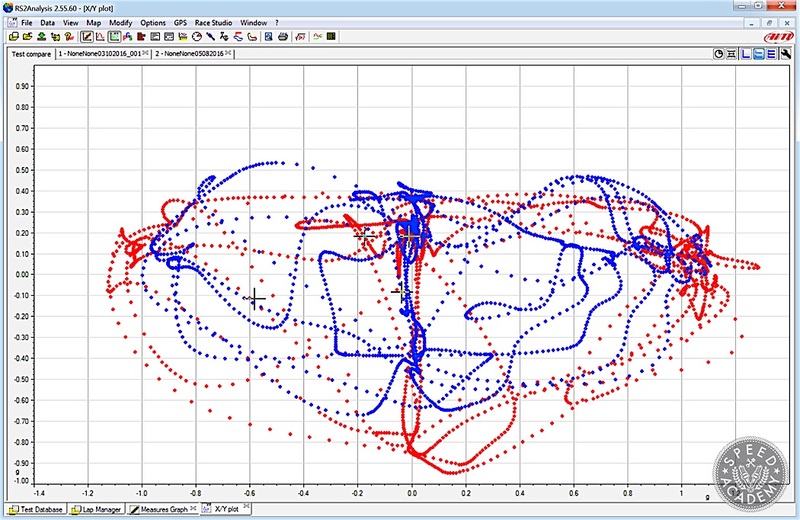 Looking at this XY Plot for g-forces, where longitudinal (braking and acceleration) g-forces are on the vertical axis and lateral (cornering) g-forces are on the horizontal axis, you can clearly see how big the performance gap is not only in the corners (on the far left and right of the graph) but also on the brakes. 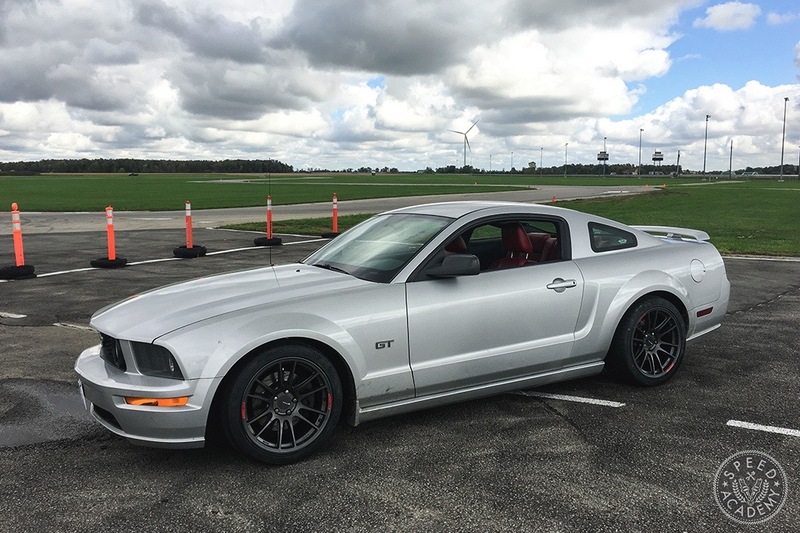 On the stock all-season tires the Mustang could only pull a max braking g-force of 0.67g, but once we switched to the Kumho PS91’s that number jumped to a very impressive 0.95g. Plus you can see I was able to fill out the friction circle in the bottom left and right quadrants of the graph much better thanks to the higher grip level of the tires but also because of the fantastic balance of the chassis with the Eibach goodies bolted up. As I gushed about in the video, the car felt like it was on a pivot, meaning I could point it whatever direction I wanted very easily without any unwanted scrub from understeer or oversteer. This meant I could steer the car with the throttle and get on the gas much earlier than on the stock suspension and tires, and this lengthened the straights and made the corners so much more fun! Looking at lateral g-forces corner by corner, you can see just how wide the grip advantage is in every corner, Turns 1 and 2 showing especially large gaps since these both have higher entry speeds than the other corners at TMP. I should also mention Pete knocked about 3/10ths of a second off his best 1/4-mile time with this set of upgrades, but given the condition of the drag strip during this test the data really doesn’t tell us too much. 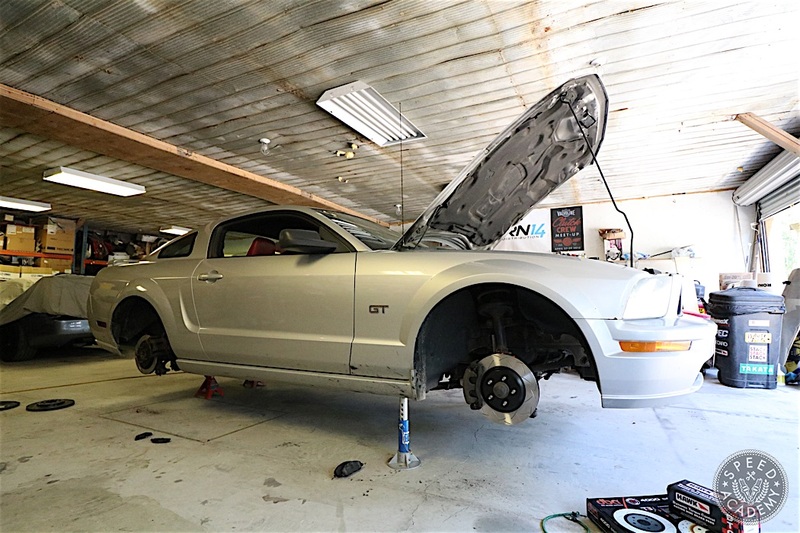 We’ll be throwing some drag slicks on the Stang in the spring, so you’re going to have to wait a few months before we really start to dial the Mullet in for straight line battle and post some representative 1/4-mile times. We’re confident we will get this car down into the 12’s without too much difficulty. 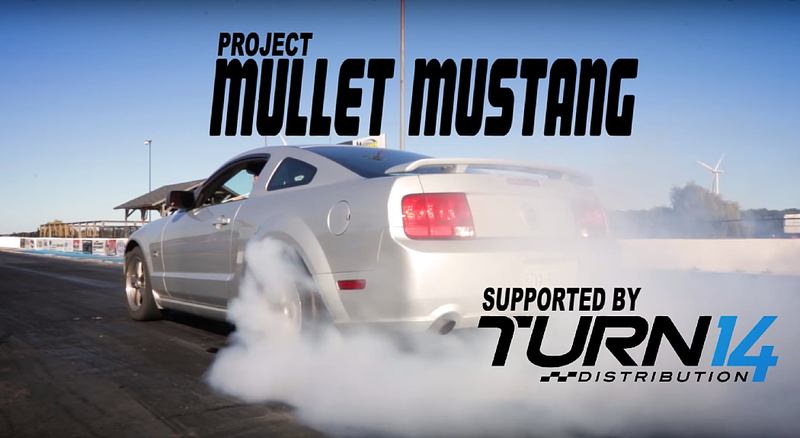 We hope you’re enjoying the Mullet Mustang build as much as we are, and we think you’ll be impressed by the next set of upgrades we’ll be reporting on shortly. In the meantime, enjoy our track test video if you haven’t seen it already.